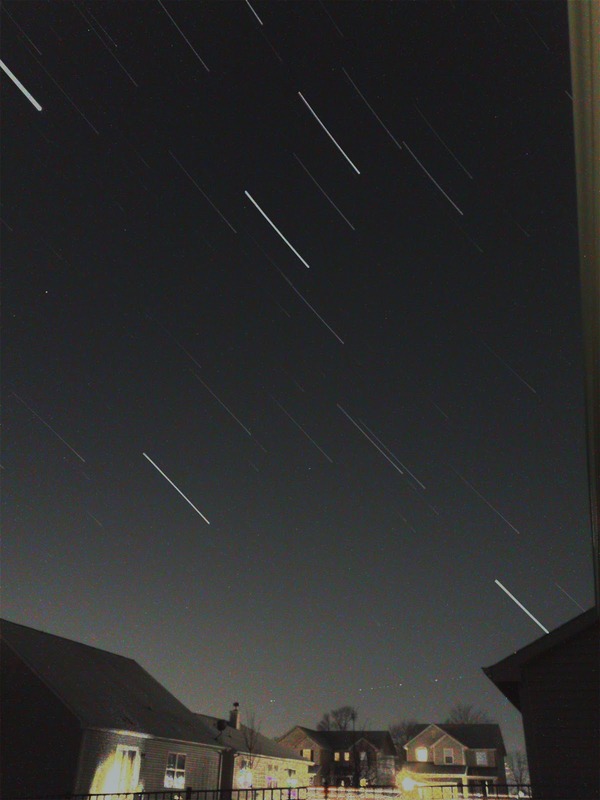 Making star trail photos with an iPhone used to be an ordeal, but now you can do it all from a single app. I use Night Cap Pro for my high ISO long exposure iPhone photos, it's specifically designed with night sky photos in mind. Another thing that really helps is a tripod adapter for your iPhone to keep everything stable and secure while letting you aim it just how you like. You don't NEED one, you can prop your phone up against something, but it makes everything easier. For an iPhone tripod adapter you can go super cheap with a home made one or just buy the perfect one on Amazon. Vastar universal smartphone tripod adapter and a long iPhone power cord to keep things going in the cold. This is an iPhone 6 and I even left the case on, and the adapter still works with it. Above photos are star trails taken with the iPhone on a tripod mount, completely in-app using Night Cap Pro, no additional stacking or exporting the photos. It's a single long exposure using the light trail mode in the app. I tweaked the photo on the left a little bit, and the one on the right is exactly as it came out un-edited.